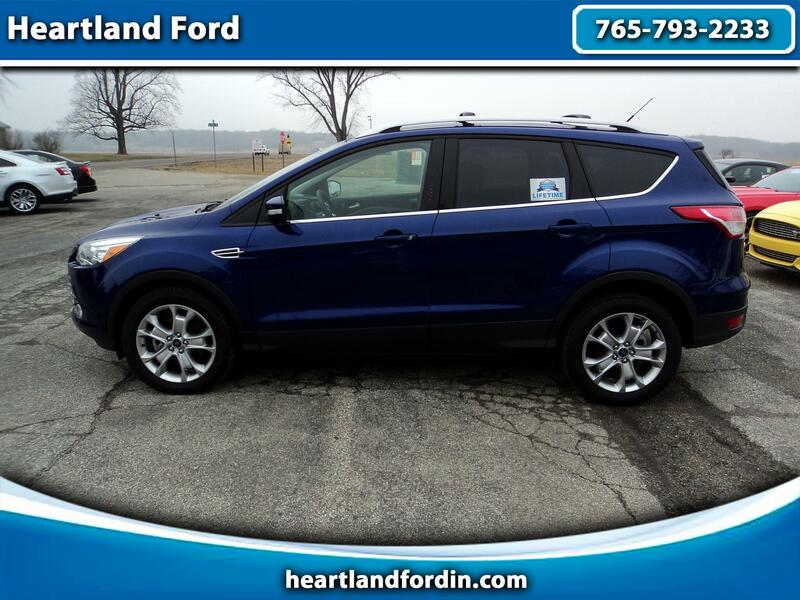 Beautiful Like New One Owner 2016 Escape Titanium 4x4 with a Clean Carfax, ready for you to enjoy! Loaded with equipment, like Heated Leather Seats, Navigation, Rear Camera, HID Headlights, Blind Spot Detection, Active Park Assist, 2.0L Ecoboost Engine, Panoramic Vista Roof, 18" Nickel plated wheels, etc. Super clean car waiting on you! Also includes our Exclusive Heartland Ford Lifetime Limited Powertrain Warranty for as long as you own the vehicle!! Please call or drop by today to view this beautiful Escape!